Imagine the satisfaction of having the right card for any occasion at your fingertips. You’ll love creating these colorful, quick and economical cards and appreciate the stress-free ease of having cards on hand when you need them. Your friends will appreciate how you brighten their days with your thoughtful cards. 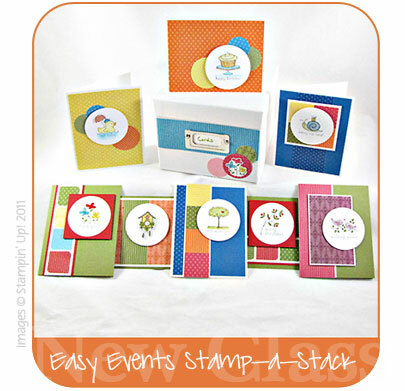 This tutorial features the Easy Events Stamp Set (#123225), but it can be used with any stamps that you have!